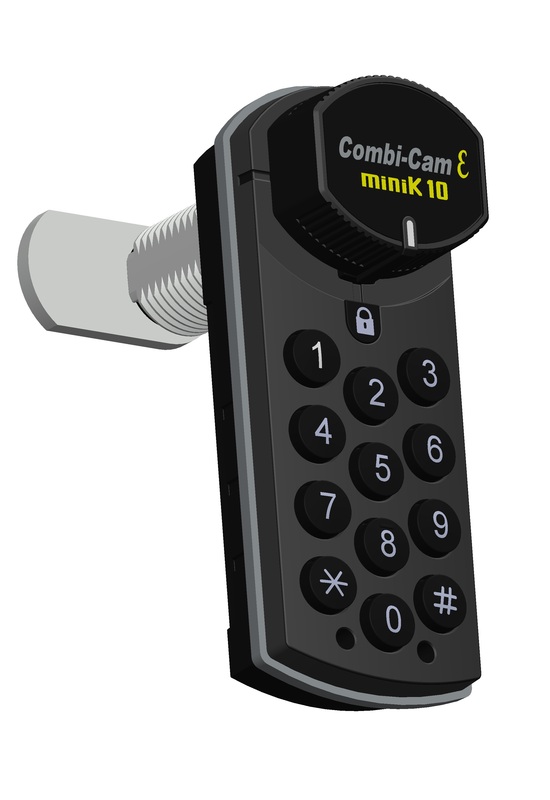 Seattle, WA, October 10th, 2016: FJM Security Products is proud to announce an addition to the Combi-Cam E-Series electronic cabinet locks - the RFID Combi-Cam electronic locker lock has the same very popular features such as 10 year battery life, master/manager code, one-time-use functionality and compact size! 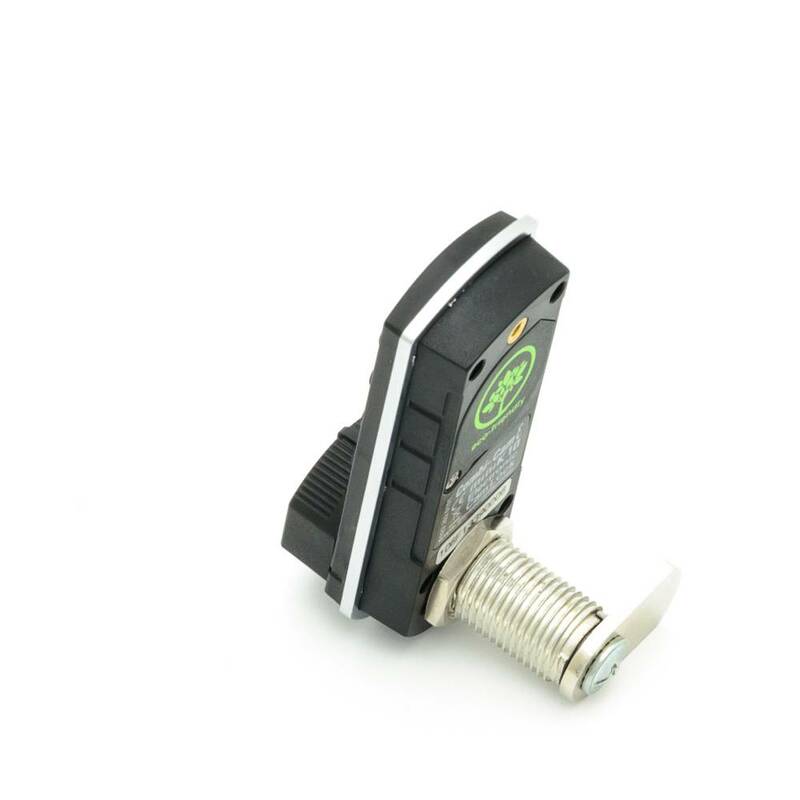 The RFID lock can be programmed to either accept numerical input or RFID cards. With manager/master code functionality and higher reliability, the E-Series RFID locks for lockers offers both surface and semi-flush mounting – perfect for lockers, mailboxes, or cabinet doors. 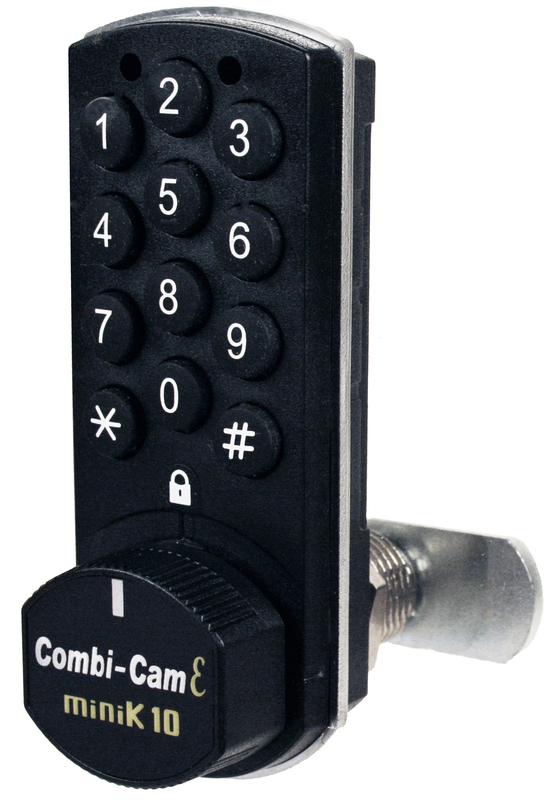 The E-Series RFID cabinet lock simply retrofits any standard cam lock. 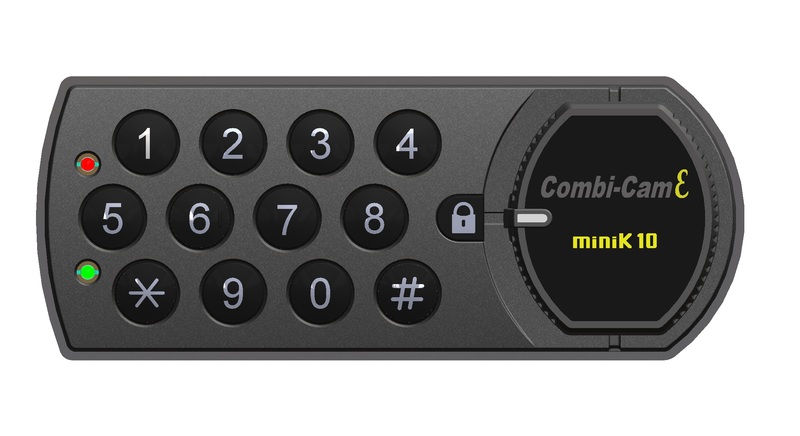 The RFID locker locks have an attractive, ergonomic design, perfect for metal and wood lockers, cabinets, healthcare use, fitness centers, etc. The RFID door locks are ideal for locker applications, cabinets, drawers, storage, etc - anywhere that needs the reliability of RFID as well as flexibility of multiple RFID cards per lock and multiple RFID locks per card. 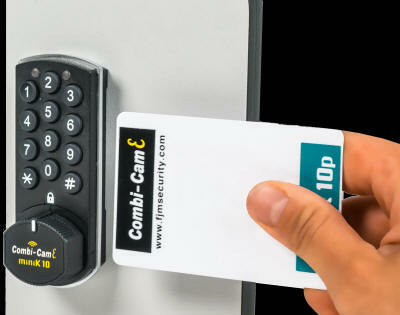 The RFID lock can be switched back and forth from RFID card access to numerical code access. § Think green - world’s only up to 10 year battery life. No frequent battery changes! 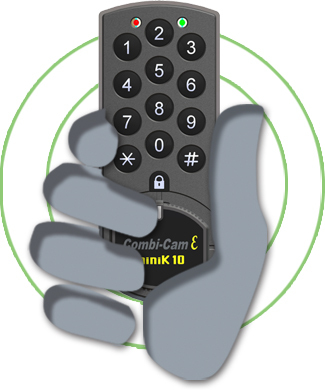 Combi-Cam E now available in your color of choice! Seattle, WA, May 25, 2016: Match the Combi-Cam E to surrounding colors of your choice! 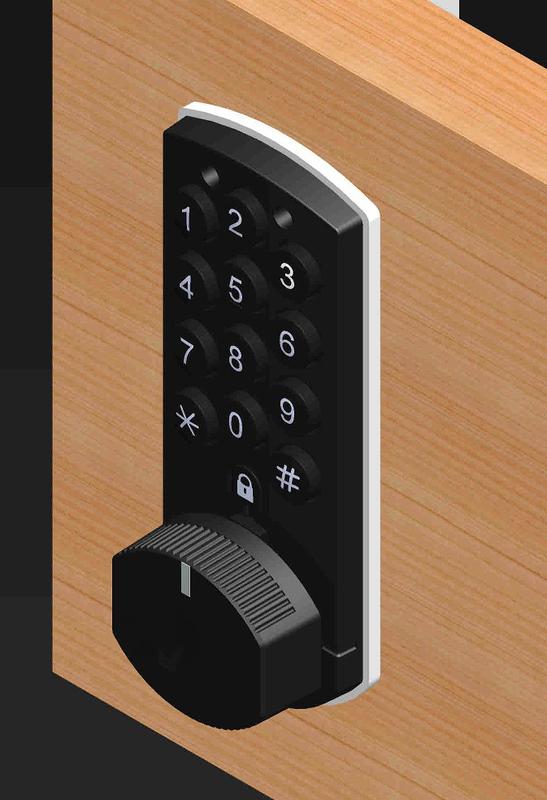 Both the lock body and the trim can be custom made to match any Pantone color desired. Click here for more details. 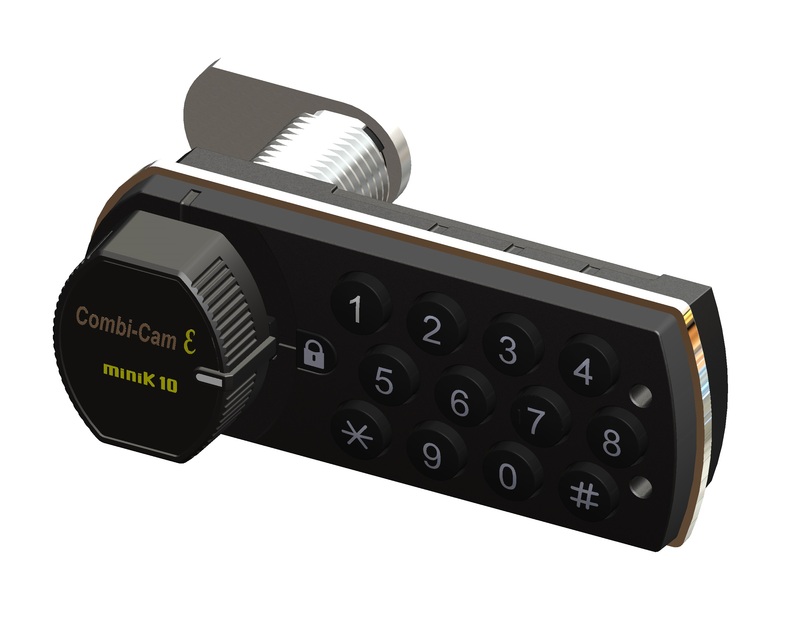 Seattle, WA, March 18, 2015: FJM Security Products is proud to announce an addition to the Combi-Cam E-Series electronic cabinet locks - the horizontal Combi-Cam electronic cabinet lock with master/manager code, one-time-use functionality and the world’s only eco-friendly lock with up to 10 year battery life! FJM Security Products’ (www.fjmsecurity.com) mission is to supply resettable combination security devices and other quality hardware products in a manner that exceeds our customers’ expectations for value, service and innovation. 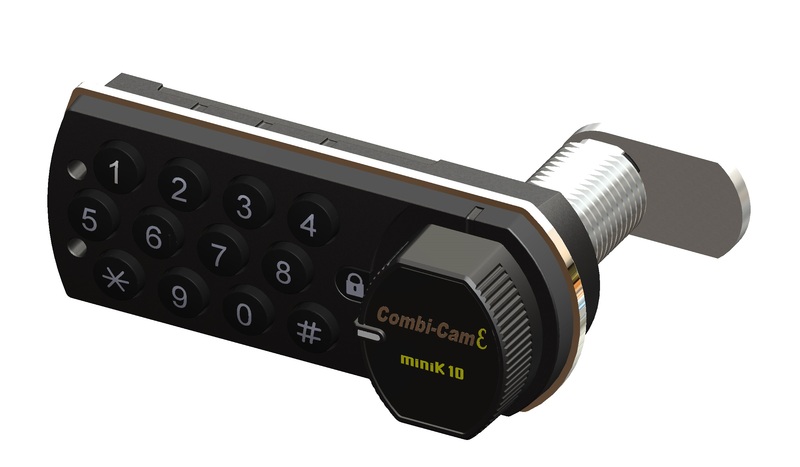 Our other products include Combi-Cam Cabinet Lock Series, Padlockable Cam Locks, CombiRatchet Combination Ratchet Locks, Combi-Bolt Combination Bolt Locks, SOBO High Security Padlocks, ShurLok and KeyGuard Key Storage, HitchSafe, and other keyed cabinet locks. FJM Security Products, a division of Frank J. Martin, has been in business since 1957. Check out www.fjmsecurity.com/catalog for our new online product catalog. 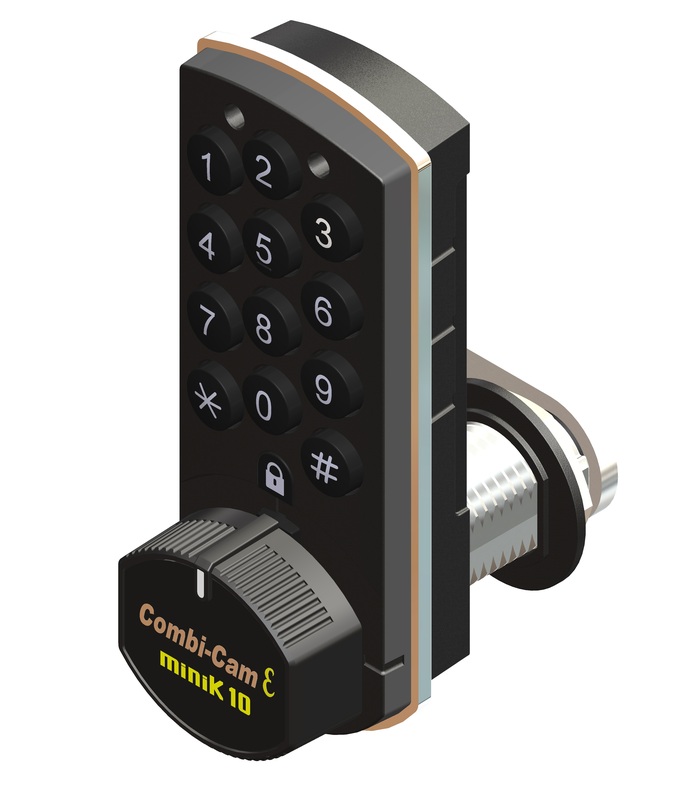 Seattle, WA, July 24, 2013: FJM Security Products is proud to announce an addition to the Combi-Cam locks - the Combi-Cam E-Series – electronic cabinet lock with master/manager code, one-time-use functionality and eco-friendly lock with up to 10 year battery life. 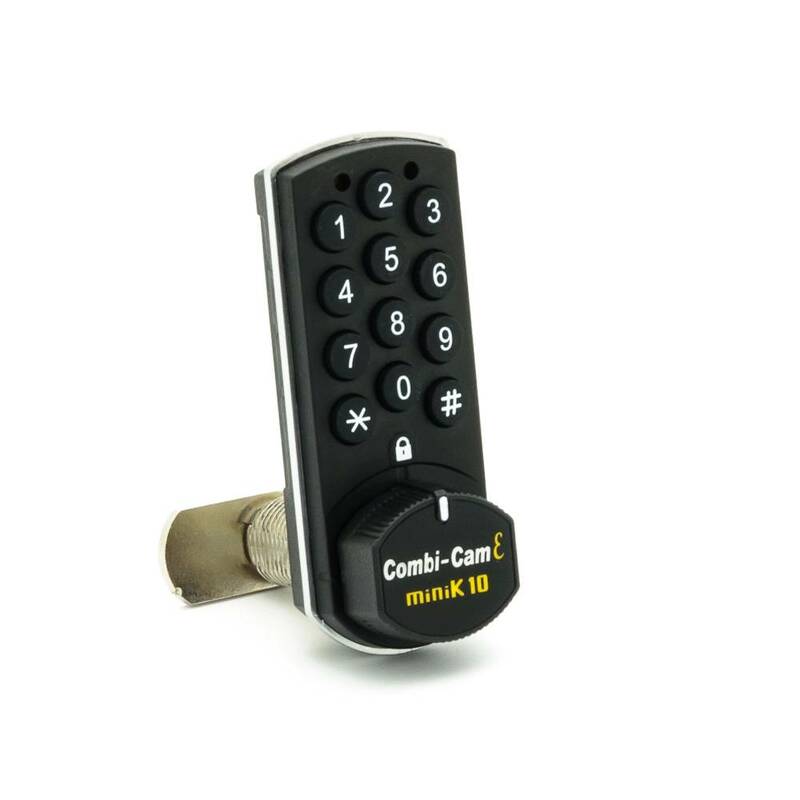 The Combi-Cam E-Series electronic cabinet lock gives customers an environmentally friendly application with up to 10 year battery life – drastically reducing the hazard of battery waste. This means no need to hassle with changing out the battery often! 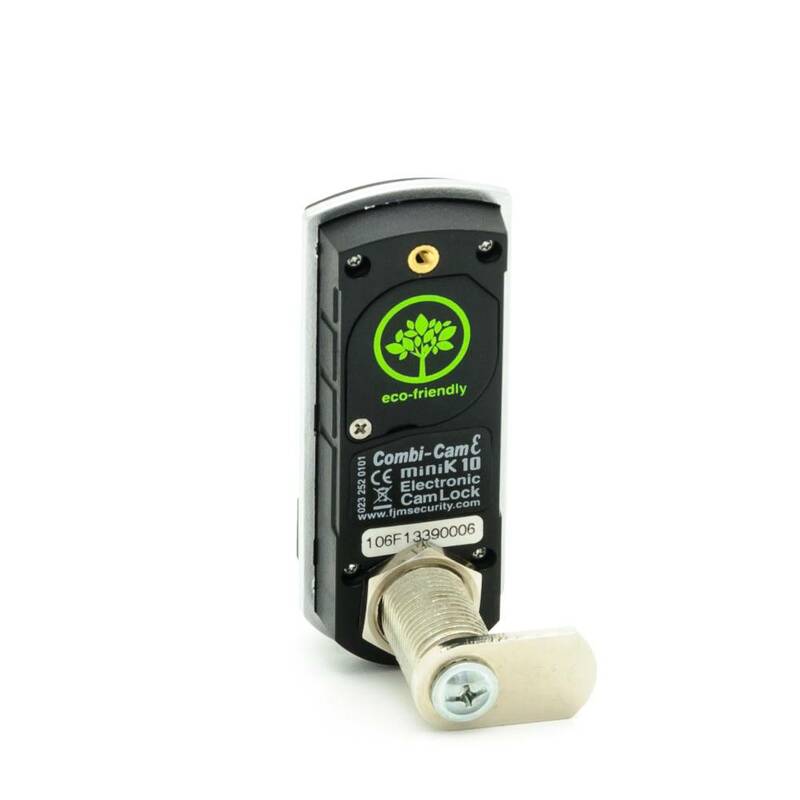 With manager/master code functionality, the E-Series cabinet lock offers both surface and semi-flush mounting – perfect for cabinet doors or lockers. 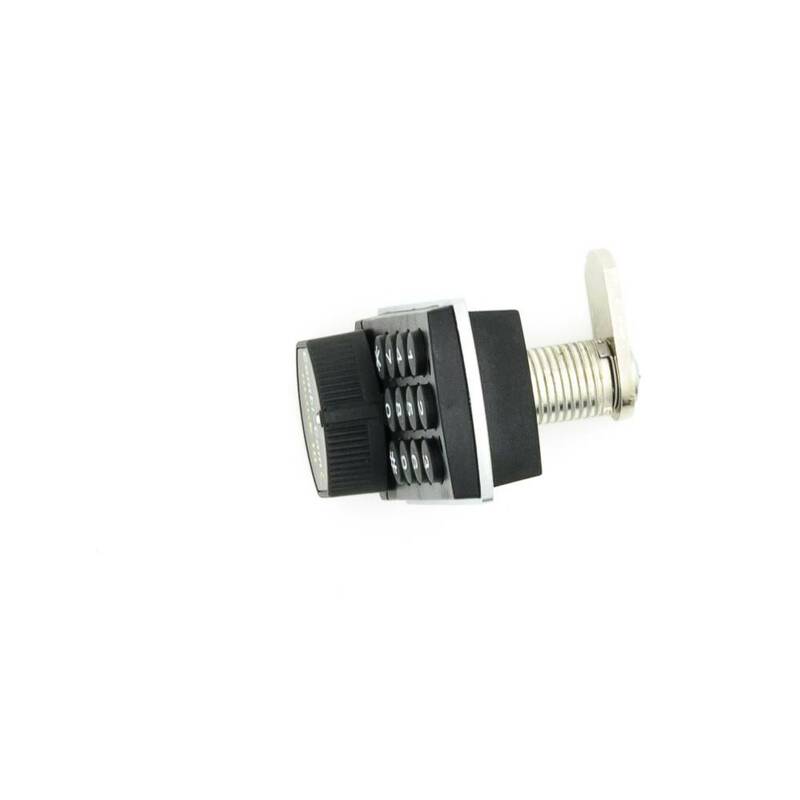 While most electronic cabinet locks require a square hole cutout, the ESeries simply retrofits a standard cam lock with 5/8” to 3/4” diameter. 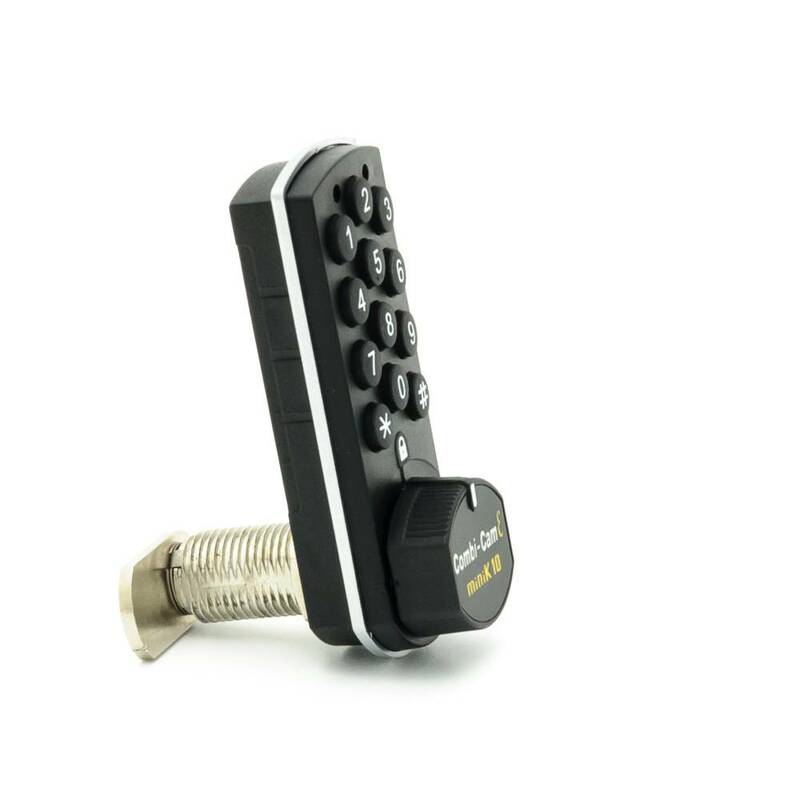 The E-Series electronic cabinet locks have an attractive, ergonomic design, perfect for metal and wood cabinets, lockers, healthcare use, fitness centers, etc. 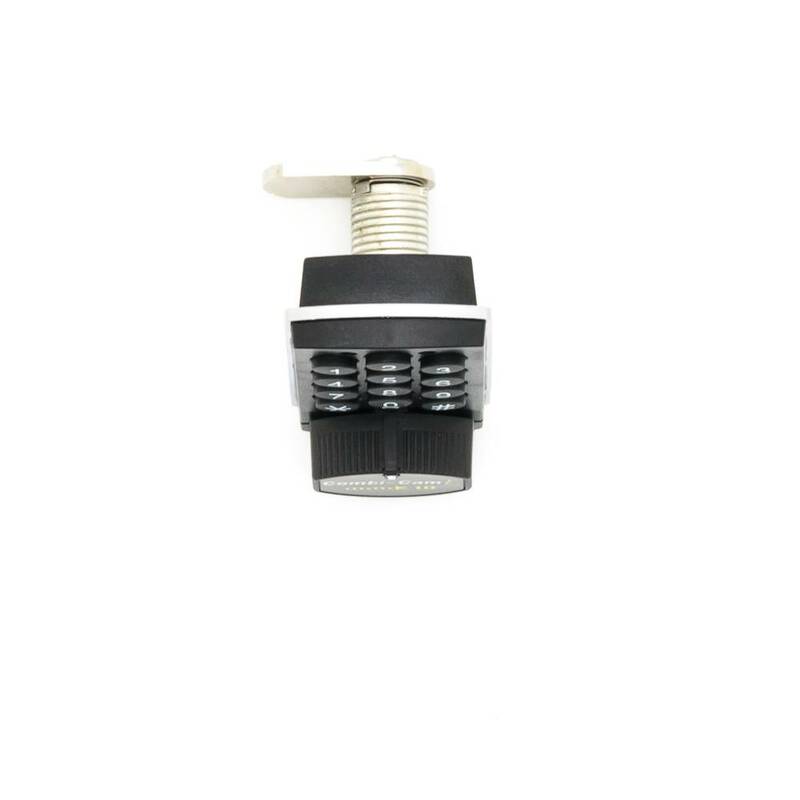 The ESeries locks have the flexibility of installation with cams or deadbolt (15 mm or 25mm). The electronic cabinet locks can be installed for right and left hand installations and are ideal for locker applications, cabinets, drawers, storage, etc - anywhere that needs the flexibility of master/manager code or one-time-use functionality. 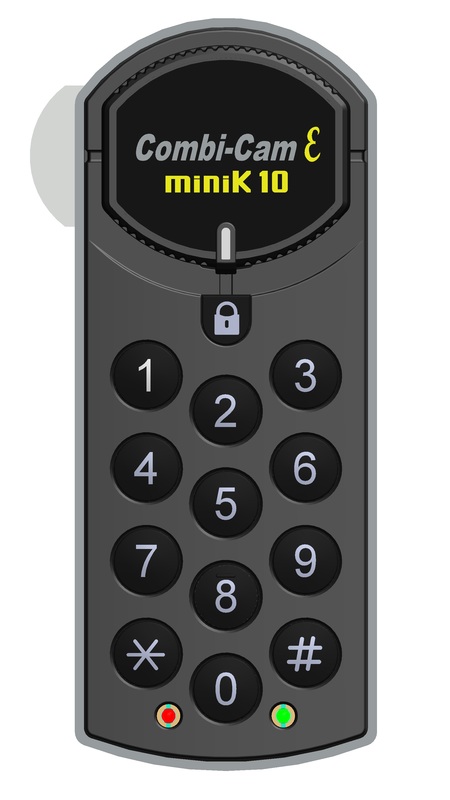  Eco-friendly lock with up to 10 year battery life! FJM Security Products’ (www.fjmsecurity.com) mission is to supply resettable combination security devices and other quality hardware products in a manner that exceeds our customers’ expectations for value, service and innovation. 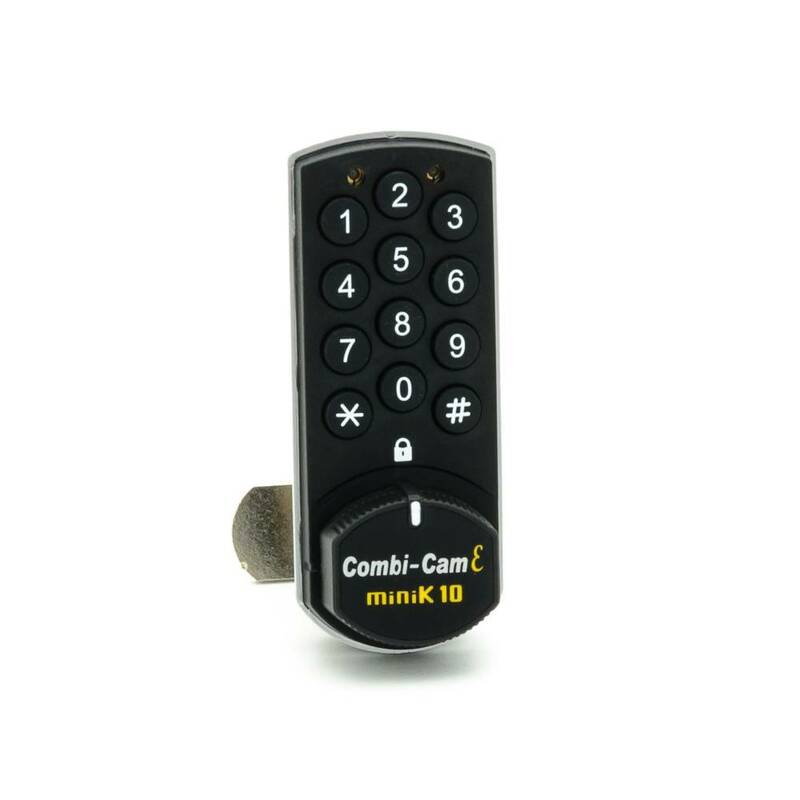 Our other products include Combi-Cam Cabinet Lock Series, Padlockable Cam Locks, Combi-Ratchet Combination Ratchet Locks, Combi-Bolt Combination Bolt Locks, SOBO High Security Padlocks, ShurLok and KeyGuard Key Storage, HitchSafe, and other keyed cabinet locks. FJM Security Products, a division of Frank J. Martin, has been in business since 1957. Check out www.tinyurl.com/fjm1786 for our new online product catalog.